With Urban Meyer suspended for the first 3 weeks of the season due to the coverup of bad behavior by wide-receivers coach Zach Smith, the Buckeyes will be facing some adversity against a strong program coming to Ohio Stadium. Unranked Oregon State of the Pac-12 conference plays a talented Buckeye team coached by Ryan Day at noon, watch on ABC/listen on 97.1 FM in Columbus. Ohio State ranked 5th by the AP (3rd by USA Today) in the country is favored by 37 points against Oregon State on Saturday. Oregon State is coached by first year head coach Jonathan Smith, a former quarterback for the Beavers. They have 17 starters back from last year with players to watch including Jake Luton (853 yards, 4 touchdowns), running back Artavis Pierce (323 yards), and safety David Morris (75 tackles). 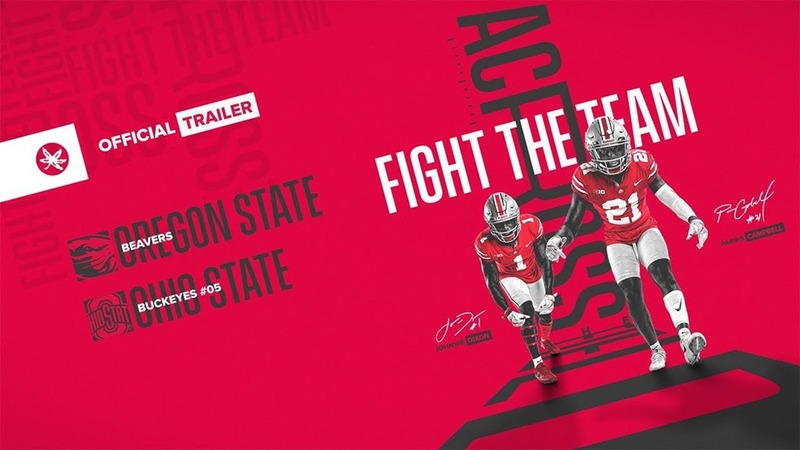 Ohio State brings back Dwayne Haskins at quarterback (565 yards, 4 touchdowns), running back Michael Weber (626 yards, 10 TDs), receivers KJ Hill (549 yards, 3 TDs), Parris Campbell (584 yards, 3 TDs), defensive end Nick Bosa (34 tackles, 16 for loss), and linebacker Tuf Borland (58 tackles).